Despite his place in popular culture as a constant icon in the last 59 years, most people remember Godzilla as a goofy man-in-a-suit. 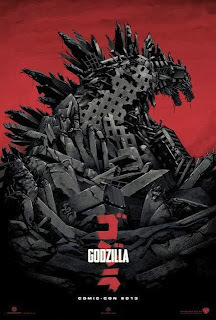 On the same token, most people don't remember that the original GOJIRA was actually a rather somber movie full with some heavy allegory going on. Going off this teaser that was originally shown off during San Diego Comic Con, it seems that Gareth Edwards remembers. Thanks to io9, you can check out the trailer after the break. YES!!!!! This is how you do it right, y'all. The destruction feels like it has some weight to it, the Oppenheimer quote, the design and the roar! It all tonally feels right. I am beyond hyped for this and cannot wait to see what Edwards does with the story.